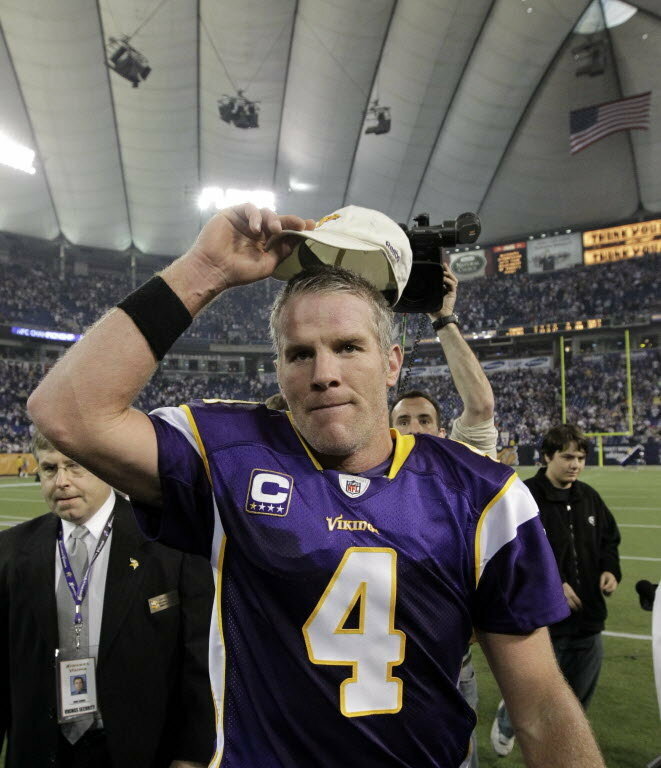 Brett Favre didn't play last night. This marked the first NFL weekend that Brett was inactive since 1992. That is just insane given how random injuries are and how often a seemingly innocuous play can knock guys out for a week or two. His ability stay healthy and push through minor pain for 18 years is remarkable. 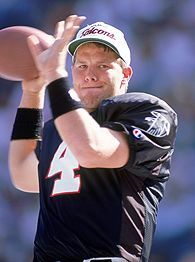 More remarkable was Favre's high level of play during all those years. Admittedly most stories, and probably most people, will be glad to put the "will he or won't he return" speculation behind them, however, we have to admire his career and his perseverance. Those are some pretty impressive numbers right there. Maybe the most impressive take away from all of that is that he was actually sacked 524 times and not once was he hurt enough to miss the following week's game. His regular season record was 185-111 for a winning percentage of 62% over those 18 years. 62% is oddly also the same as his career pass completion percentage. Everything we have seen after it was announced that Brett wasn't going to be starting this past weekend suggests that he is done and will retire (permanently) after this season. Lucky for us and Rachel Nichols. We should let him go quietly no matter how annoyed you were with his constant retirement waffling. He deserves that given how much he has meant to the game of football over the years.